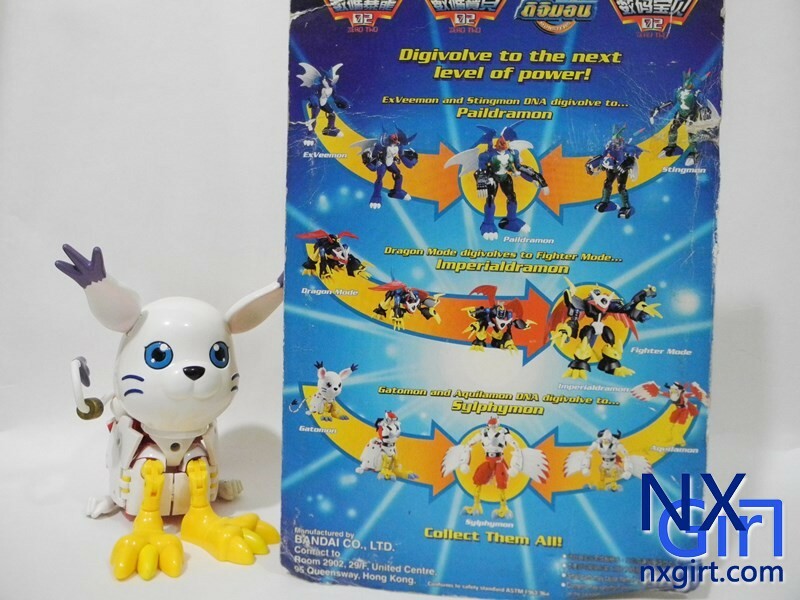 After a month, let's get back to digivolving series. 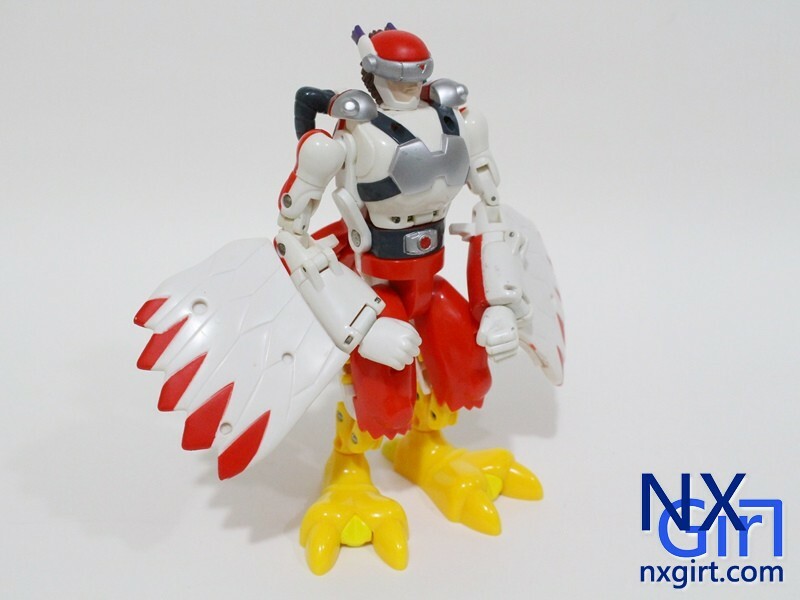 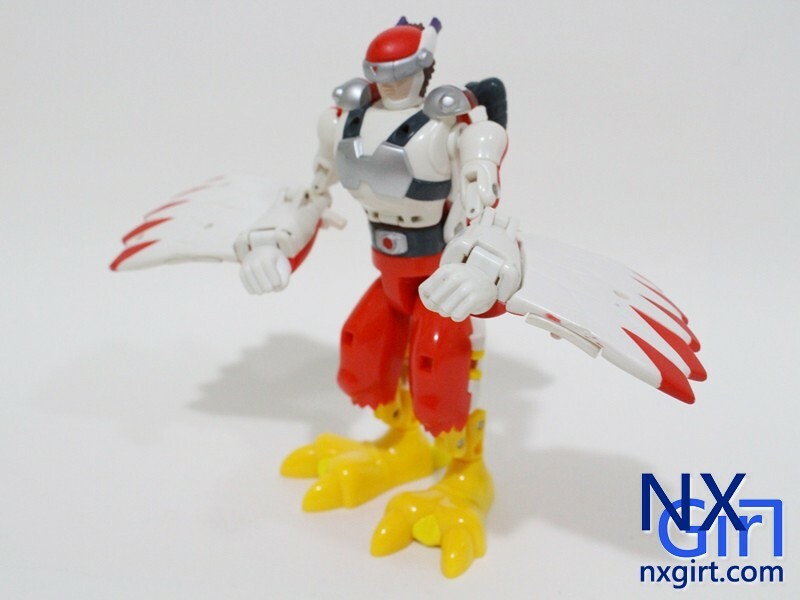 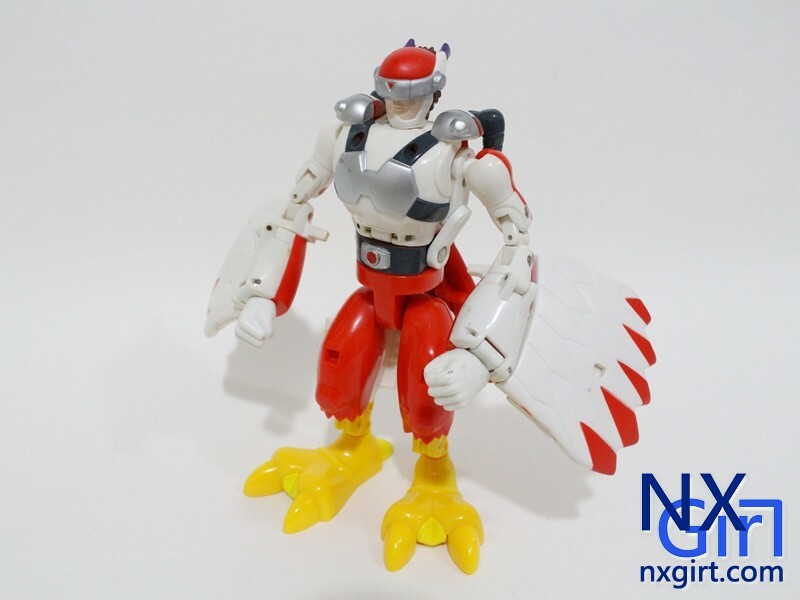 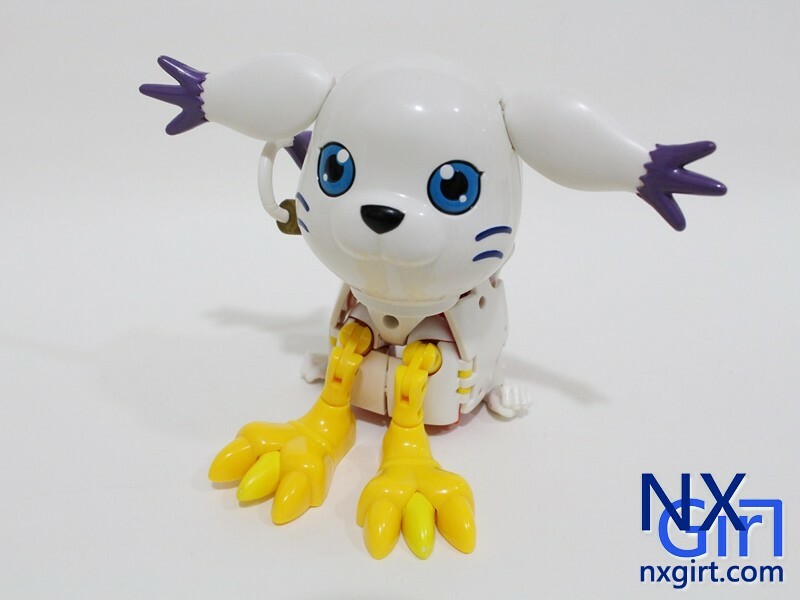 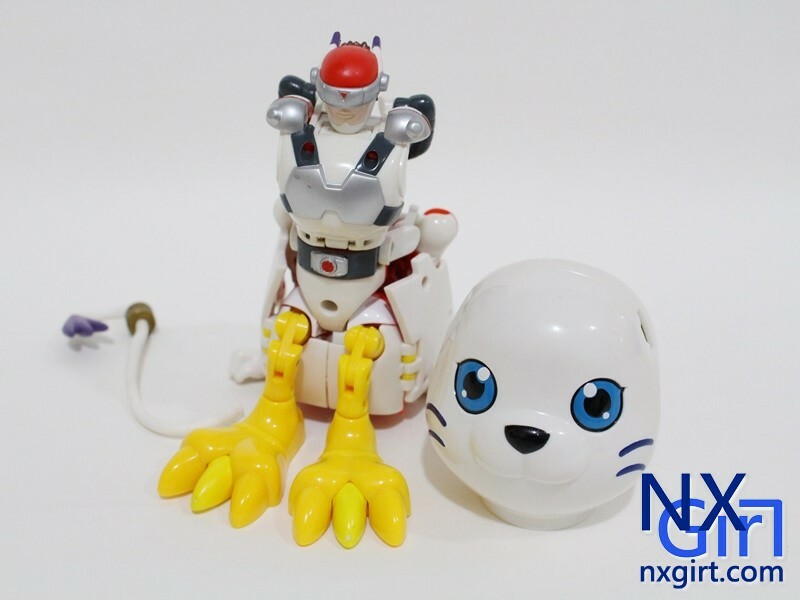 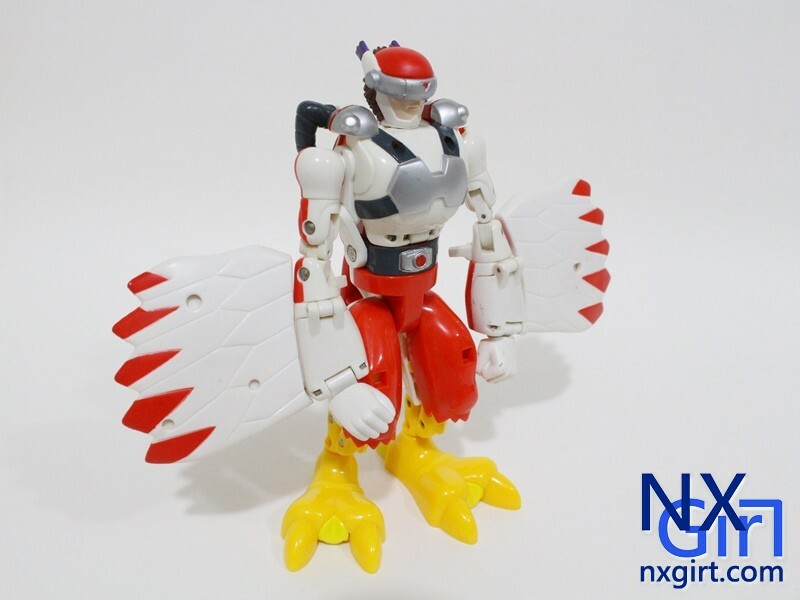 This is 1 of 2 DNA-Digivolving figure. 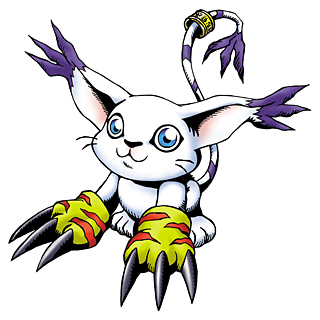 Another one is Paildramon, which I review in previous time. 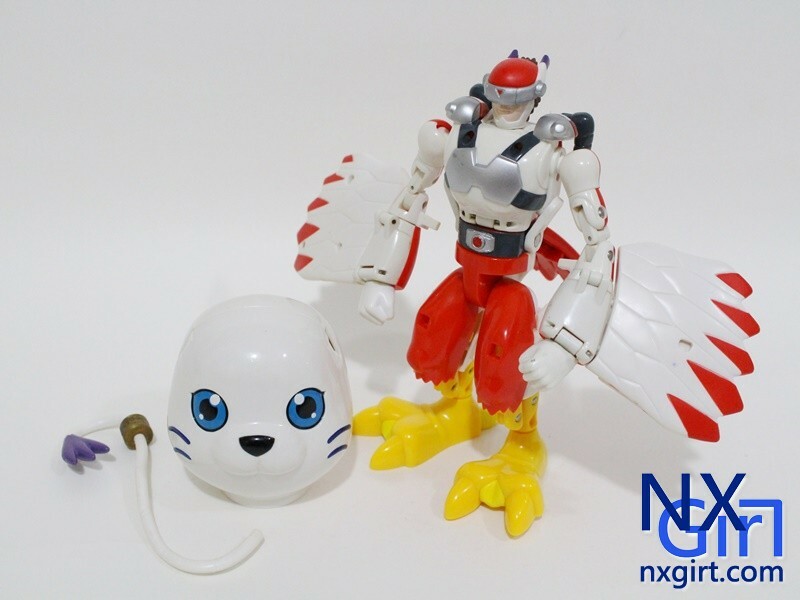 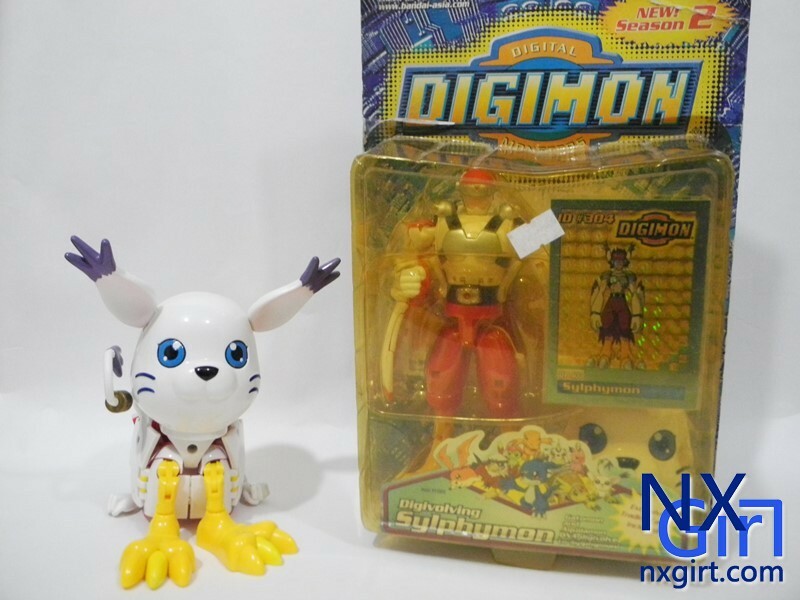 You may say this 2 figure is valuble because a figure can transform in 3 Digimon! 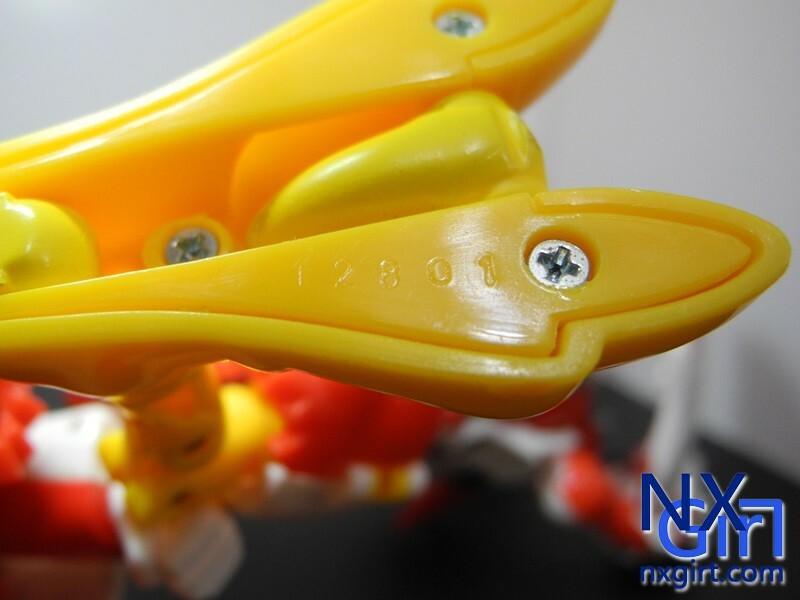 But due to this complicated mechanism, it turns the figure rather clumsy. 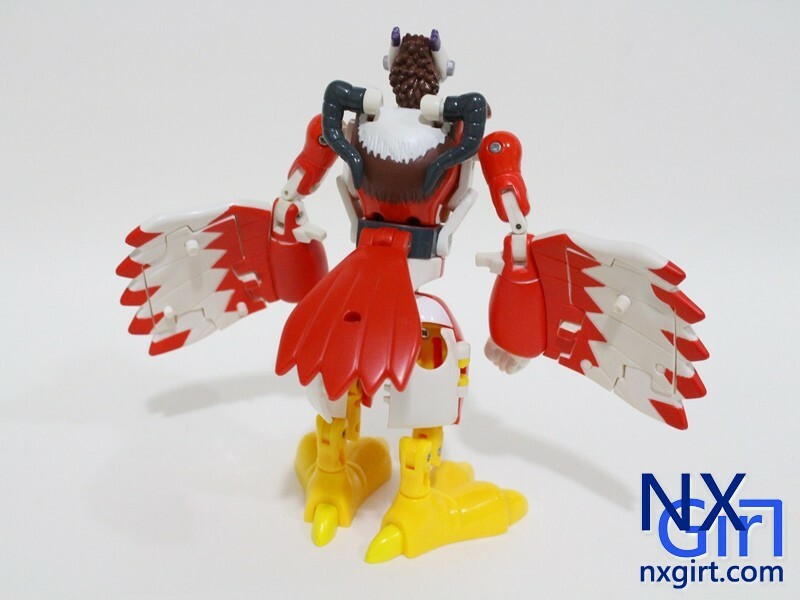 Anyway, it still very great to turn such an idea into figure! 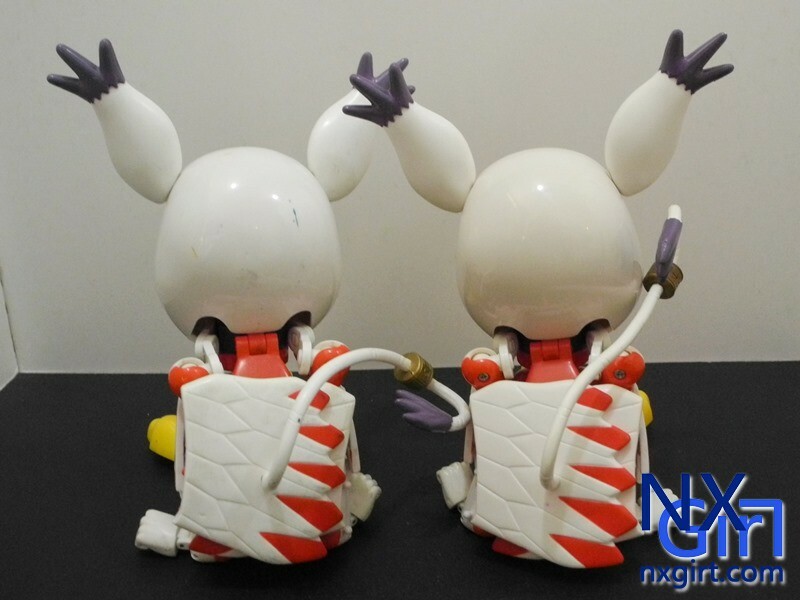 Let's check it out now! 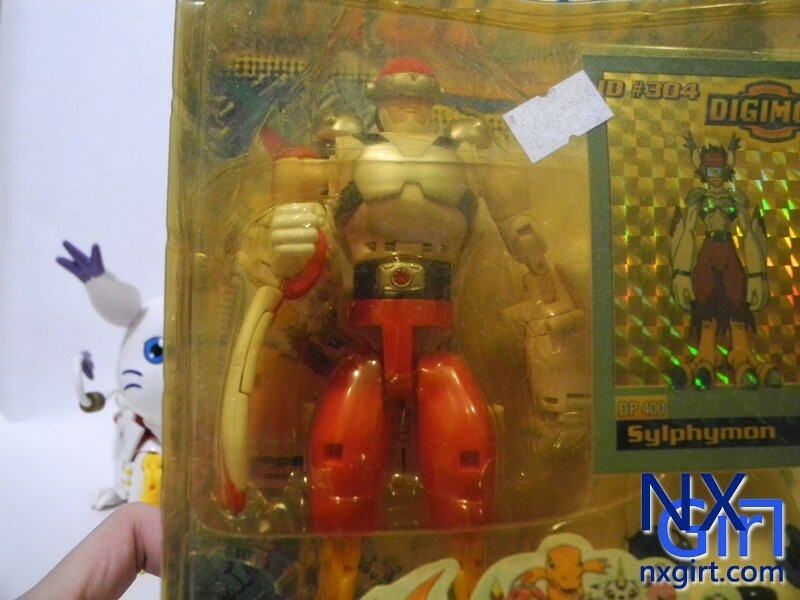 Once before, I had a whole new box Silphymon. 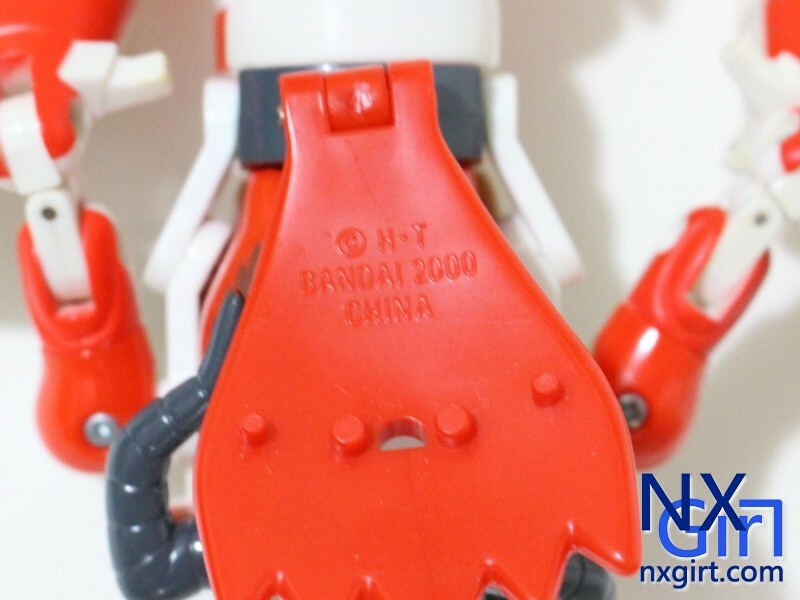 Let's see the package. 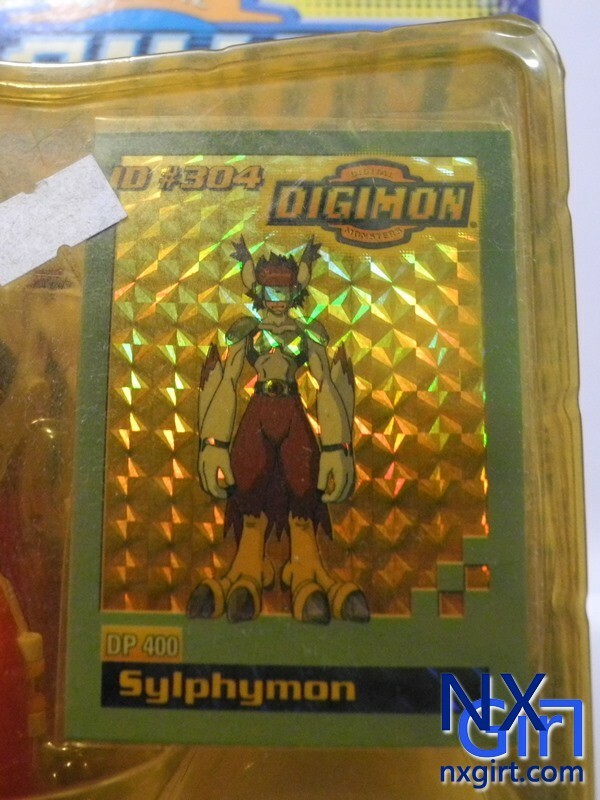 This is the holographic card of Silphymon. 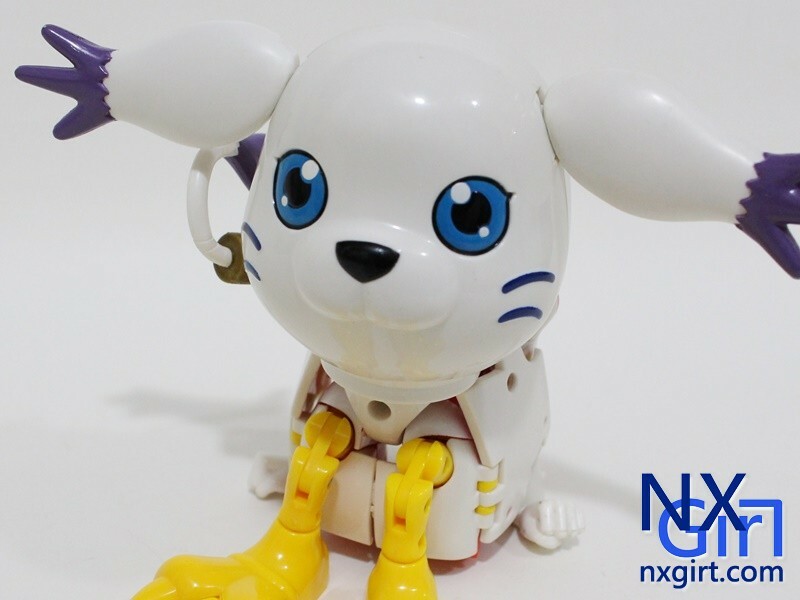 As the head piece is special for Gatomon, so the head is pretty nice. 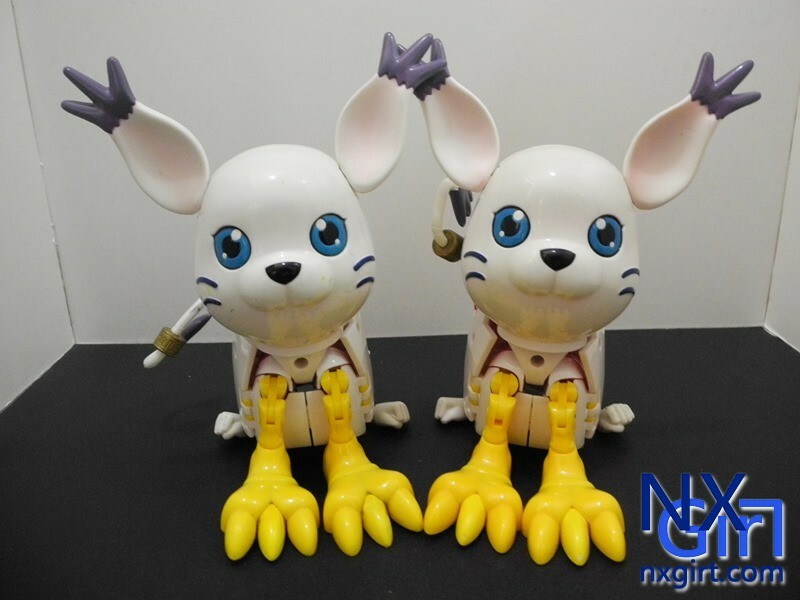 But the front legs and back legs is rather poor. 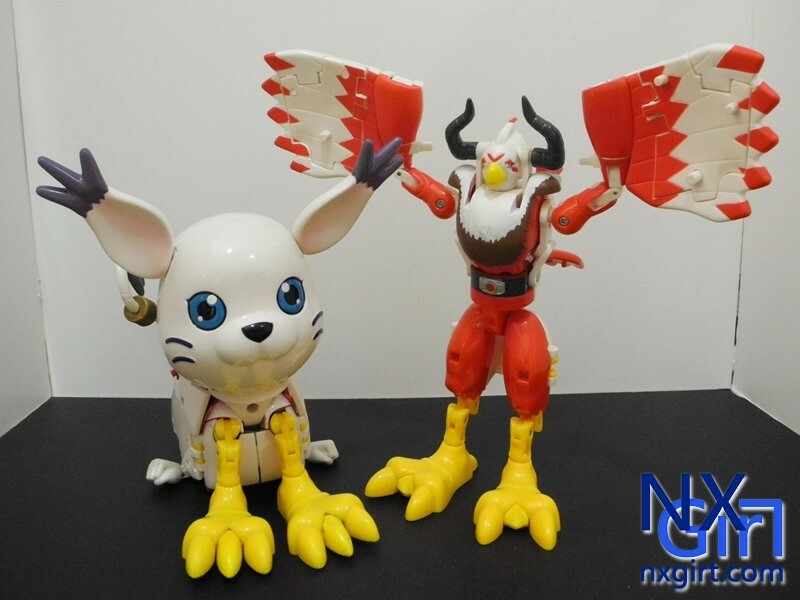 They have a huge different from expected. 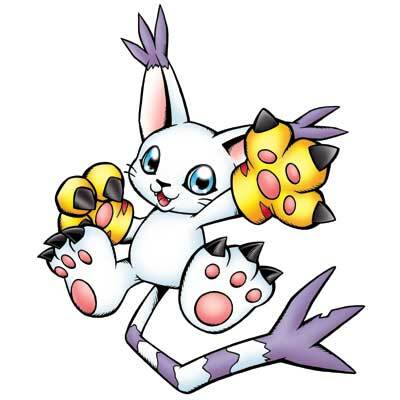 However, it quite cute if you turn Gatomon's ears down. 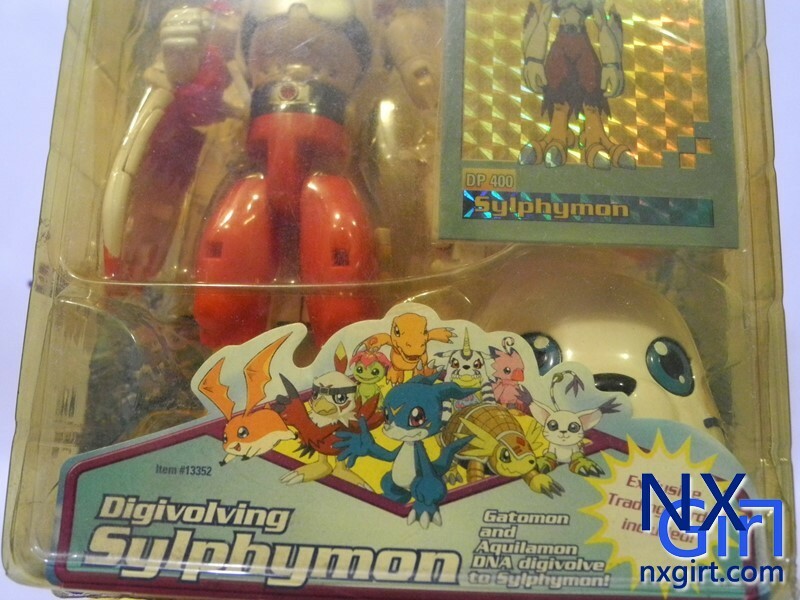 When you take of Gatomon's head, you will see Silphymon's face. 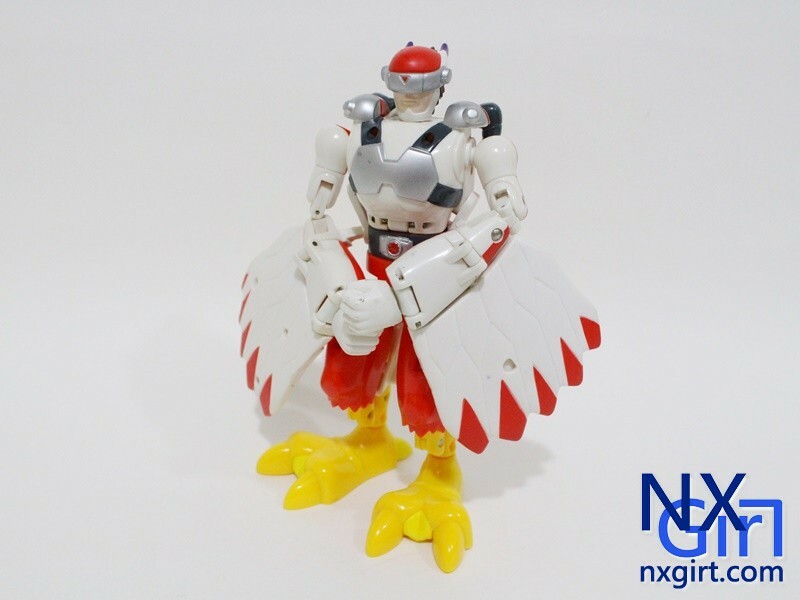 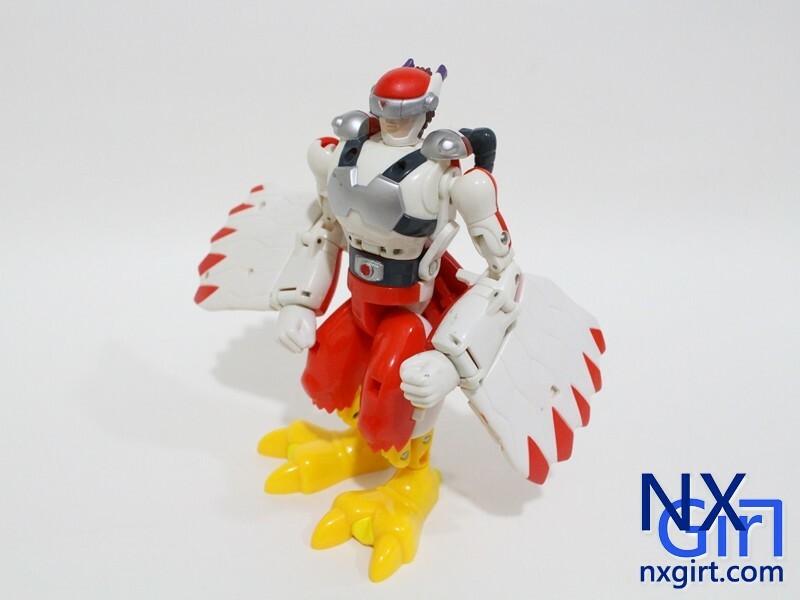 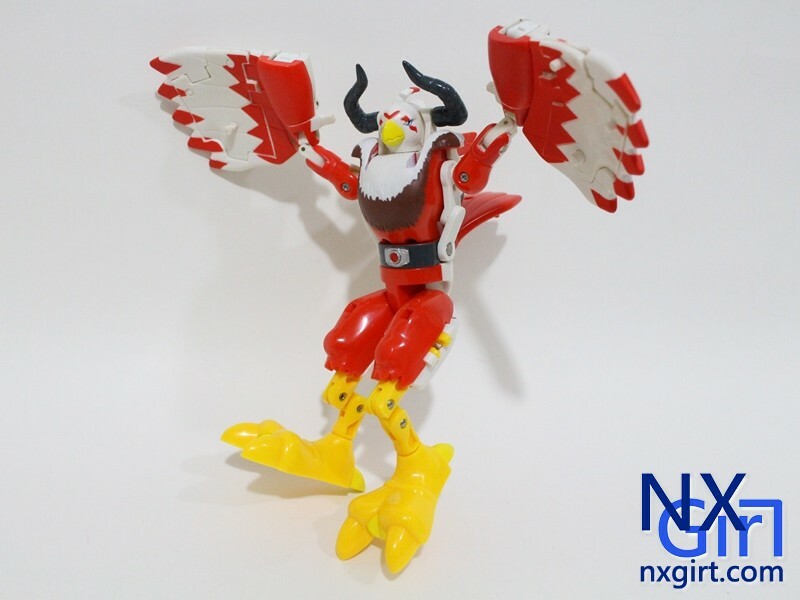 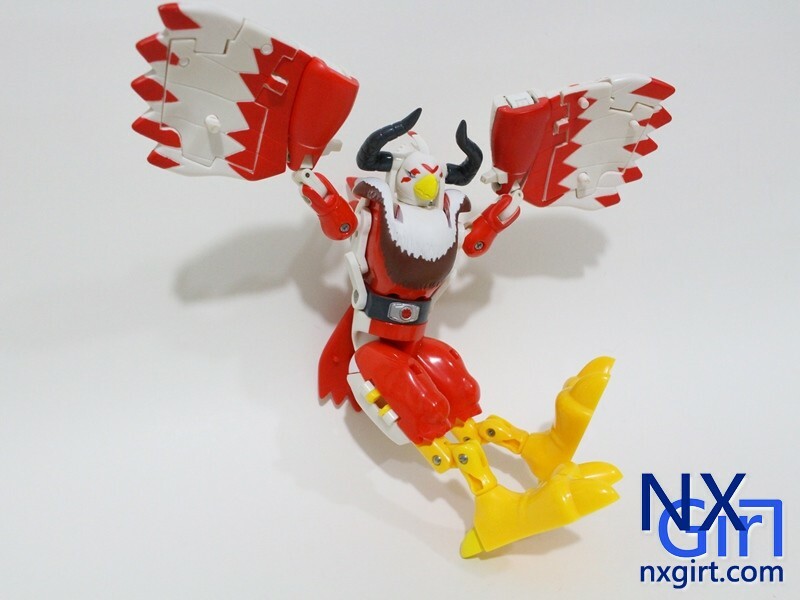 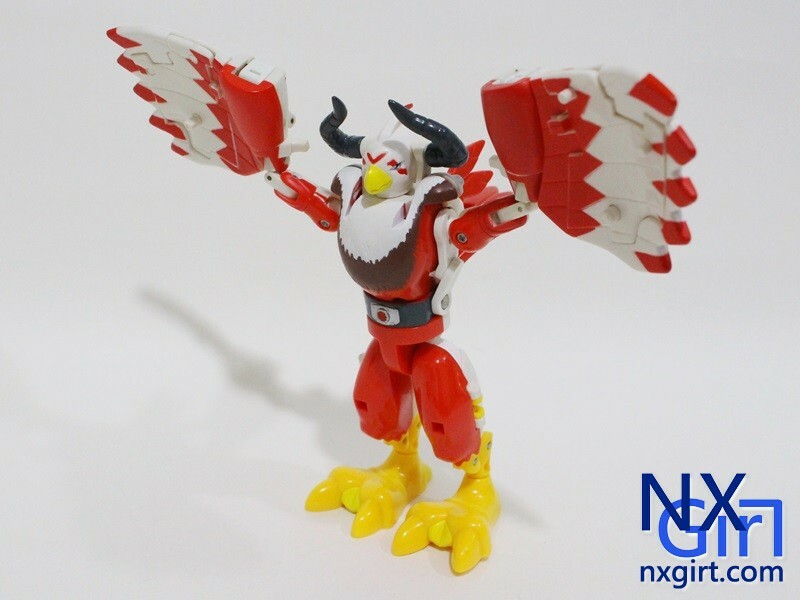 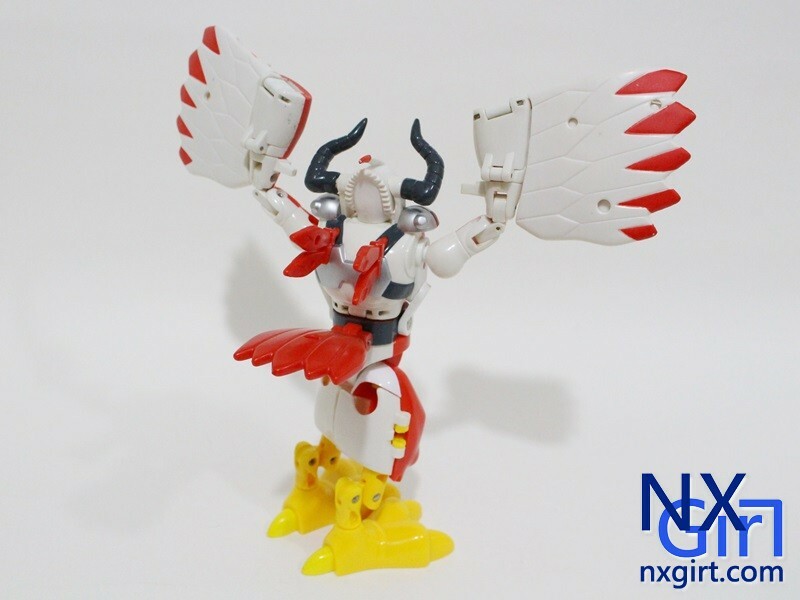 Aquilomon form is not bad at all. 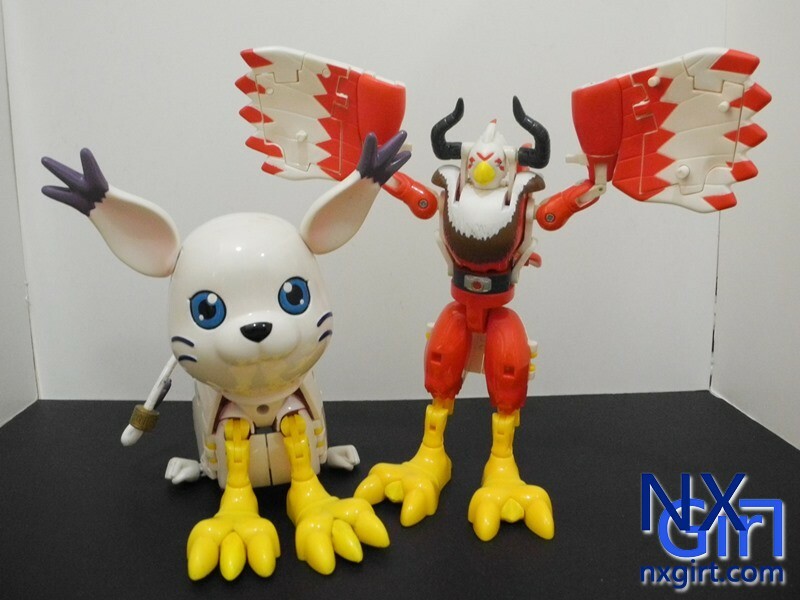 However he is not popular as other. 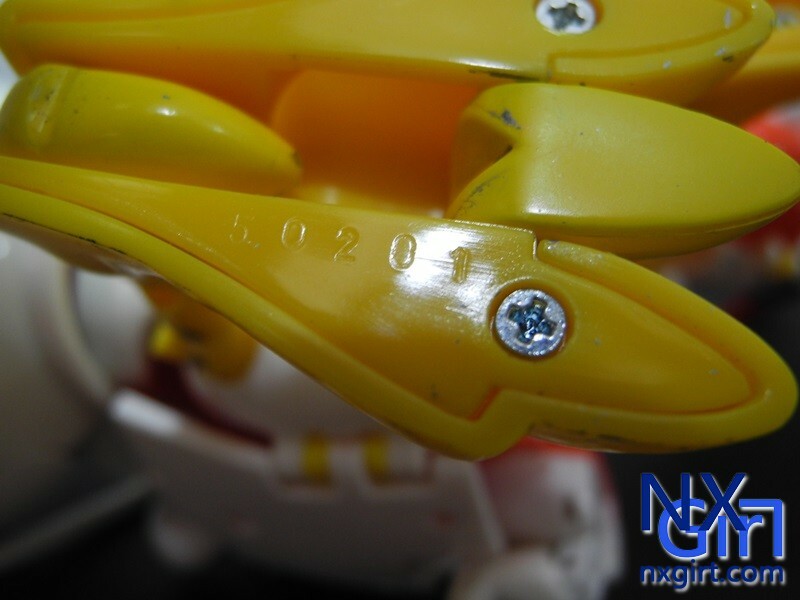 Every figure has its own number.